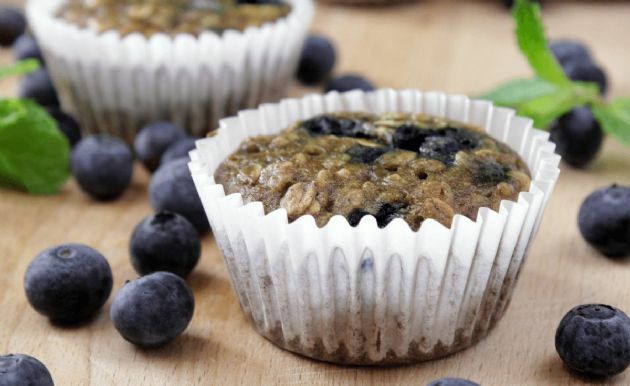 You'll love these easy, low-fat blueberry muffins. You'll love these easy, low-fat blueberry muffins. Spray a 12 cup muffin tin and preheat oven to 350. Mix flour, oats, soda, cinnamon and salt together. Add applesauce, sugar egg whites and water, mix until just blended. Add in blueberries. Bake at 350 for 20-25 minutes or until tops have lightly browned.